Fasting (Saum) ~ Islam My Ultimate Decision . Fasting is observed in almost all religions, specially the religions of Holy Books. While in other religions, fasting is the willing abstinence OR reduction from some OR all food, drink, OR both, for a period of time, However fasting in Islam is the ABSOLUTE abstention from food and drink and marital relations during the period of fasting that commences from the dawn to dusk, and there are no OR in between. Fasting is restricted to the month of Ramadan, the 9th month of Islamic calendar for a period of 29-30 days depending on the birth of the new moon. In the Koran Allah says: "You who believe, fasting is prescribed for you, as it was prescribed for those before you, so that you may be mindful of God." (2:183). The 27th of the Ramadan is also the day when Allah completed the revelation of Koran on the Muslims. Fasting (Saum in Arabic) is obligatory on all Muslims except those who are sick and too old to abstain from food and drink and women having their monthly mensuration cycle. However, the days so missed are to b e completed at the early convenience. Special arrangements are made in the Muslim countries for the dawn meal, called sahoor, and dusk fast breaking meals called Iftar. While most people break their fast at home with their families, arrangements are also made at public places for travelers and commuters unable to reach their house and also for those who cannot afford a good meal. At Makkah, the house of Allah, and Masjid-e-Nabvi at Medina in Saudi Arabia, many philanthropists arrange free iftar and sahoor food for the millions of pilgrims present at the two holy places. Since the Islamic calendar is based on moon instead of the sun, the month of Ramadan keeps advancing by ten drays each year and one has endure the weather constraints as of extreme summers to extreme winters. The Islamic calendar which based on lunar cycles thus describes the philosophy of fasting in varying weather conditions so that the rich feel how the poor endure the hardships of fasts in summers as well as winters. While fasting is basically done as ordained by the Allah Almighty as an obligation, it also helps keeping a healthy body and improves digestion and helps many other bodily metabolic adjustments. 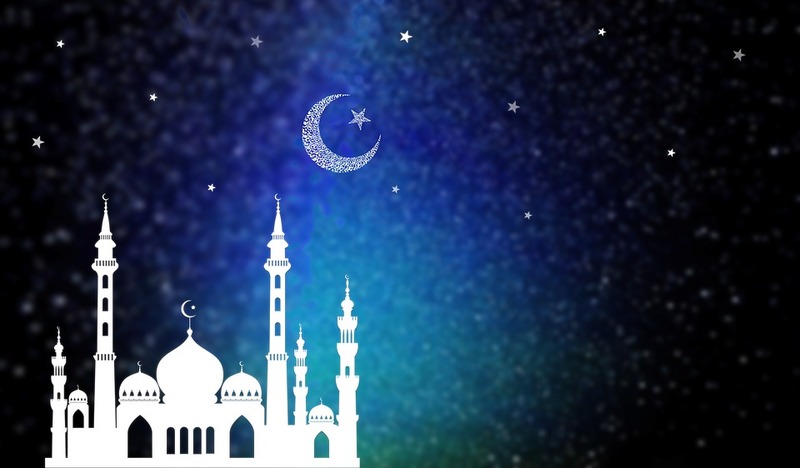 With the end of month of Ramadan, the Muslims celebrate Eid ul Fitr, festival of breaking the fast, on the first day of the new moon of the month of Shawaal, the 10th month of Islamic calendar.